By the time I leave my job, I will have given six years and six months of service to local government in South Auckland. Whilst the organisation I work for has been in the throws of corporate transition, change and transformation for almost half of that time, I now find myself deep within my own personal transition. I am filled with clarity and determination, emotional with nostalgia and excited and scared to step boldly towards the unknown. 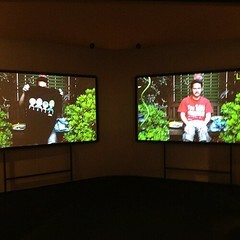 Nostalgic and emotionally bonded through literally blood, sweat and tears to Fresh Gallery Otara. What many term, my ‘baby’ – Fresh has been my everything for six years. By the time I leave, I will have overseen 66 exhibitions and too many gatherings and events to count. It is the right time to leave. 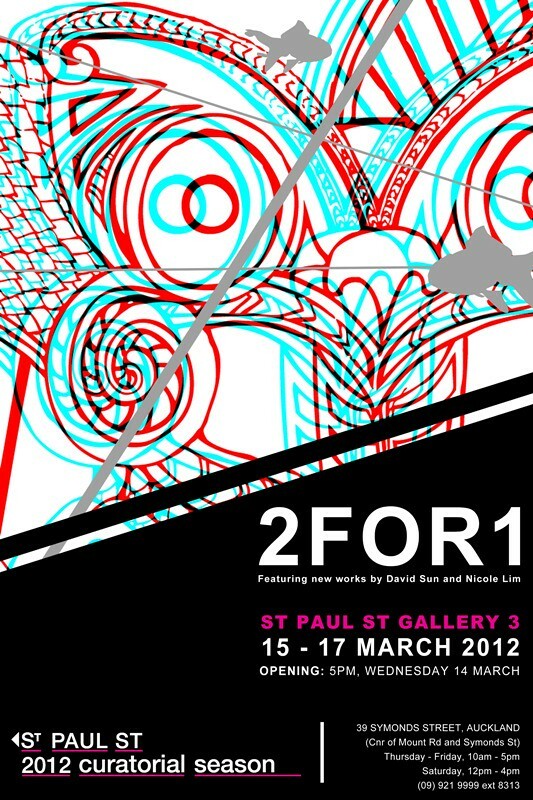 The last show I will curate will be WWJD – the Gallery’s 6th anniversary exhibition that honours Jim Vivieaere. I’m really proud of this show – I know it will be visually exciting and conceptually strong, but most importantly, the community will love it. It opens on Thursday 10 May, and whilst I’ve said it for many years now, there ain’t no opening like a Fresh Gallery Otara opening, I envisage that this opening will be really, really special. This transition time for me is half grief, half happiness, total love and respect for what has been, and superb clarity in who I am and why I do what I do. I’ve been sitting in meetings recently, feeling like a wolf in sheep’s clothing – being a “curator” but thinking like an activist. Speaking up for artists, but asserting a firm position on [post-]colonial power struggles and institutional racism. 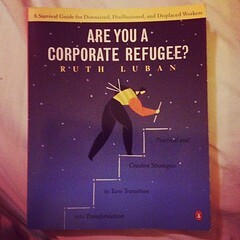 Taking the hits, fighting the fight, doing the work of too many individuals… I’m so tired. I had to speak to my father yesterday morning, to give me some words to get me through another day. We discussed anger, and calmness… being positive, being part of a solution, not a problem. He told me to read the Prayer of St Francis of Assisi, that he has often recited to me. I put it on my phone and read it throughout the day. And it helped. 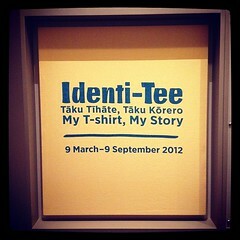 Last night I attended the opening of Identi-Tee – a new exhibition about T-shirts at the Auckland Museum. I was so impressed – those in attendance represented such an excellent cross-section of the Pacific community here in Auckland right now. I loved the video Janet Lilo was commissioned to create – it reminded me how much I’ve loved working with Janet over the years. Janet’s cousin, Lorna, who has become a great friend, and Lorna’s partner Peter being part of this project made me smile from ear to ear. 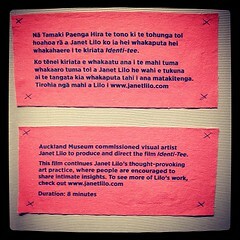 I love being around the objects in the Pacific collection at the Auckland Museum – the feeling of closeness to one’s past, land, history, ancestry, is real. 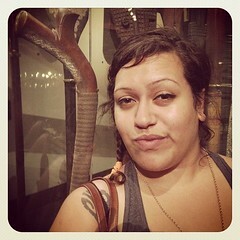 I love the Fijian war weaponry and the way it’s displayed. It felt nice being there for an event like this, the main atrium area was filled with Pacific people, voices, laughter and music, and we were surrounded by our objects and our history. I ended the night sitting on Mission Bay beach with my colleague and dear friend, Nigel Borell. The air was cool, the moon was full and the water was completely calm. Nigel and I have worked closely for three years and getting SOUTH off the ground this year was a great achievement. The feedback has been overwhelmingly positive, I’m so proud of what we have achieved together. I’ll post more on my plans moving forward… my next chapter is looking pretty exciting! Your passion for your work is an inspiration and I wish you well with your future endeavours – keep us posted! 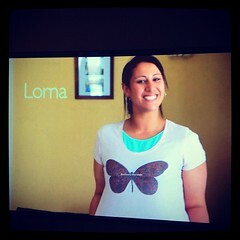 Wow….I am soooo proud of you Ema for taking this bold, brave and adventurous step into your life. It has been a real privilege to have been a part of your amazing journey from that first night you opened Fresh, with as much passion, and pride as every exhibition since. I am immensely full of admiration for you and your achievements at Fresh and the community you have so lovingly served these past 6 years. I look forward with great anticipation to your bright future and can’t wait to sip that first cocktail with you in New York! You have always and will continue to be a true inspiration to me with your passion, your on to it-ness…and your vibrancy. Hey Ema, I can ‘t say enough how much I appreciate the work you have put in at Fresh for not just the artists but the community at large. I know that whatever you choose to do from here on your terms and in your style. Tatts up sis!